Saw one of these in the wild. 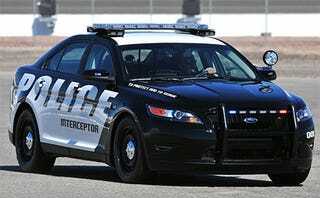 Is it bad that I wanted to flag the cop down and just talk about the Interceptor? Drivetrain options for the NA V6: FWD or 4WD, Ecoboost V6 only available in 4WD.